In September 2012, 24 participants from Israel and Germany joined the greenXchange seminar, in order to extend dialogue and cooperation in the environmental field of both countries. Over a one week seminar, greenXchangers learnt about environmental issues in the field of agriculture, energy, urban life and transportation in Germany, with the ultimate goal of looking for ideas of a joint environmental project. The meeting was a follow-up to the greenXchange seminar held in Israel in the previous year. The seminar started in Frankfurt, and from there the participants continued to the German Midlands to visit the Dottenfelder Hof, a traditional German farm that was established more than a thousand years ago. In 1968 the Dottenfelder Hof converted to organic farming, and began to manage the farm in a dynamic way, biologically, thereby promoting agro-ecosystem health, biodiversity, biological cycles and soil biological activity. “Our methods of organic farming include crop rotation, biological pest control, green manures and compost while all synthetic off-farm inputs are excluded” explained Ms. Hinterlang, a member of the organic farming community of the Dottenfelder Hof. “Legumes that fix nitrogen and make nutrients available for the crops of the following seasons, constitute a fundamental part in the system of crop rotation,” she further added. Researches in the “Landbau schule Dottenfelder Hof” continuously enhance and develop the methods of organic fertilization, as well as focus on animal and nature conservation, landscaping, environmental education and social and economic concepts in agriculture. They cooperate with universities and research institutes. At the next site, the “Bioweingut Lorenz”, the greenXchange group learnt about organic viticulture in Germany. During the guided tour through the vineyards, the group passed the scenery of the German Midlands, and discussed organic methods for weed and pest control. “Phones imitating bird voices provide an important method of our pest control”, explained Wendelin Lorenz, who guided the participants through the vineyards and the vine cellar. “Mechanic weed control makes the use of synthetic off-farm inputs unnecessary and legumes support the vine with nutrients.” The tour ended with a winetasting, wherein all participants convinced themselves of the excellent quality. 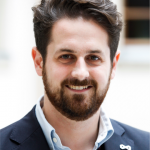 The greenXchange group is particularly interested in renewable energy, and as such, consulted with the JUWI Holding AG, a company for renewable power supply facilities in Frankfurt Wörrstadt. The meeting included a lecture about technology in bioenergy, wind energy, and solar energy. Following a decentralized approach, the company supports small communities around the world, to become self-sustained and independent from fossil energy. They enable communities’ access to their local resources by using environmental sustainable technology. Local mechanical engineering industries, as well as construction and operating technologies will certainly profit and generate new employment opportunities. The high number of visitors at the JUWI Headquarters in Wörrstadt, underlines an additional ecotourism or “energy” tourism potential for renewable energy parks and facilities. The company has built many large solar parks and wind parks in Germany, such as the “Waldppolenz Solarpark”, or the “Landschaftspark Hunsrück.” The headquarters in Wörrstadt were recently established in a new building; the high standards of the energy efficient design, including the coupling of different energy cycles, make it one of the most energy efficient buildings in the world. The greenXchange group continued to the grounds of the large European energy supplier “Vattenfall.” The Swedish corporation acts in the fields of mining, generation, trading, distribution, sales, and heat and sets new scales to testify its reliable, environmentally sustainable and customer friendly standards. The corporation has already reduced its CO2 emissions by one third, compared to the 1990s and follows its ambitious goal to accomplish climate neutrality by the year 2050, through invest ment in new generation technologies. They rely on processes of carbon capture and storage, renewable energies (bioenergy, wave energy and wind energy), as well as energy efficiency. 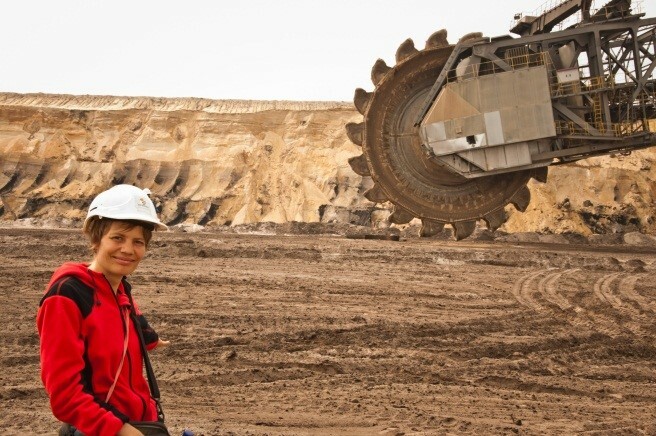 “In particular the technology of carbon capture, transport and subsurface long-term storage can reduce greenhouse gases to an extended degree,” explained Mrs. Cornelia Höhne, who guided the greenXchange group through the company grounds. The onsite powe r station “Kraftwerk Schwarze Pumpe” serves as a pilot project for the carbon capture process. The interaction of different components of the power plant, such as burners, and materials, are tested to optimize efficiency and rates of carbon capture. Carbon capture attained a degree of 90% and already 10500 tons of carbon has been captured between 2008 and 2011. The captured carbon can be transferred to underground storage, such as porous rocks, salty subsurface aquifers and former natural gas deposits. Researchers can explore the potential risks with geo-technological methods, such as interactions between the captured carbon and th e surrounding rocks, changes in pressure, and potential pollution effects. Released pressure might serve as a source of geothermal energy. Carbon capture utilization (CCU) provides a further way to reduce carbon emissions. Currently, research focuses on the use of carbons for the production of biofuels and high quality synthetic materials, and the CO2 fertilization of algae. Continuing the seminar, the greenXchange group visited the innercity urban developing project located in the Hafencity in Hamburg. The close proximity to the sea comes out by a unique integration of the interaction between land and water into the urban developing concept. Embedded in the warft concept, the tides were used as design elements and provide access to the water along terraces and places. Working, living, retailing, culture and tourism are united in the close neighborhood. Innovative systems in heat and energy supply, match the high standards in ecological sustainability regarding the areas facilities and daily life. In combination with parks and recreation areas they underline the cities green and ecological atmosphere. The decentralized and diverse structure of the energy system holds the potential for extension. “We don’t really know , how much energy we will need by the year 2020”, explained Mr. Gödtel, a city planner of Hamburg Hafencity. “Therefore we have an open energy system that can grow with us!” In total, the Hafencity includes space for around 6,000 flats and 12,000 inha bitants, areas with nearly 45,ooo employment opportunities in the field of retail industry, culture, recreation and food service industry. The high degree of building coverage and the short distances on horizontal and vertical green pedestrian ways makes it to a livable place with high life quality. The area used for streets and cars was minimized to a proportion of 25%. The high density of living and working matches the need of the extension of urban areas on a global scale. Close to Hamburg, greenXchange visited the KKL-JNF Forest in Norderstedt. The forest and gardens represent the partnership project with the Israeli Forest “Wald der Deutschen Länder” that was planted in Israel near Beer Sheva. Crossing the huge park that includes 5000 trees, greenXchange explored the natural vegetation in northern Germany. The area, which contains pine forests and also open patches covered by birches and heathland, was part of the Landesgartenschau in Hamburg in 2011. Sitting in the biblical Bustanei, Ayala Nagel, the vice-chairwomen of the garden started the follow up discussion about establishment and management of gardens, and experimental ideas by regarding the organization as an organic system. A great example of an urban inner city garden project provided the “Princess Gardens” in Berlin Kreuzberg. The project aims to transform available open space in Kreuzberg into gardens, thereby opening green space to local residents. People living in the neighborhoods nearby come to grow their own fresh and healthy food as well as to share their experiences and competenci es with the community. The local restaurant offers vegetables harvested in the garden thereby creating an atmosphere of communication and relaxation. The garden intends to increase local biodiversity, as well as social and cultural life in the neighborhood and to be pioneer for a modern and green way of urban life. “’Nomadisch Grün’ stands for mobile gardening” explained Robert Shaw, the cofounder of the Princess Gardens. “We temporarily transform unused spaces such as building areas, car parks and roofs into organic urban farmland and green meeting places. Our herbs and vegetables are grown in raised compost beds without using any synthetic materials.” The gardens concept is open to everybody who wants to join and find his own role in the garden. On their way to develop an international acting network, the participants of GreenXchange visited the headquarters of the GIZ in Frankfurt/Eschborn to gain input and share experiences in the field of international cooperation and international project management. 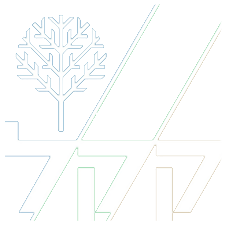 The GIZ has joint cooperation projects with Mashav, Israel’s Agency for International Development Cooperation in order to strengthen rural development, agriculture and resource use efficiency in Ethiopia. The global engagement of the GIZ for environmental issues, in particular climate and biodiversity comes out in their global partnerships and cooperation. In the environmental ministry the state secretary Ms. Katherina Reiche presented international cooperation and projects in the environmental field supported by the German government. “The great environmental challenges, namely the climate and the maintenance of biodiversity can only be addressed by international cooperation. “We support projects in developing countries, as well as transition and newly industrialized countries on their way to establish an environmental sustainable economy as well as to face the problems of climate change. The maintenance of local resources, biodiversity and carbon sinks is a major request,” she explained the work of the German environmental Ministry. In the end of the one week lasting seminar, a future session was hold, to set up plans and projects for cooperation in the environmental field between Germany and Israel. The fruitful discussion based on the information obtained from the environmental projects visited during the seminar, as well as knowledge about project management and international cooperation.